The beauty and lethality of the curved steel blade became identified with the distinctive culture of those who wielded it so expertly. The samurai warriors of medieval Japan, celebrated in countless Japanese woodcuts, prints, and films. 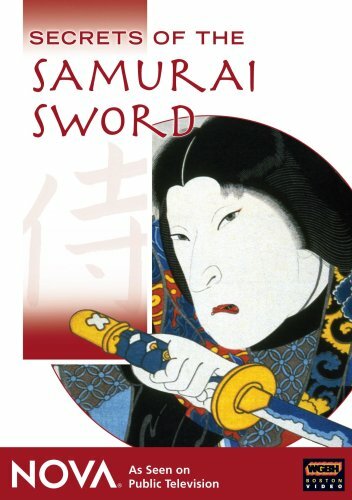 Fifteen traditional Japanese craftsmen spent nearly six months creating the sword that this video follows through production, from smelting the ore to forging the steel to sharpening the blade to a keen edge, capable of slicing through a row of warriors at one swoop. For example, during smelting, iron-ore sand is heated with charcoal, which provides a source of carbon that alloys with the iron to create steel. Ancient craftsmen deliberately stopped just short of a uniform liquid state for the white-hot steel, which resulted in a product with varying amounts of carbon throughout. The harder high-carbon steel was forged into the sword's edge, which had to be hard and sharp, while the more resilient low-carbon steel was used as the core of the weapon to produce a blade resistant to breaking during combat. Without access to the insights of modern science, Japanese craftsmen a millennium ago worked out an exacting method that is still followed by a devoted few and that produces the Stradivarius of swords.